Turmeric is a powerful natural substance that you can easily use to cultivate your health and wellness. What makes turmeric so attractive to health-enthusiasts is its ability to deliver a massive variety of health benefits. Better yet, turmeric has been studied extensively by the scientific community. Even the data reveals that turmeric provides an astounding variety of health benefits. So rest assured, all of the health benefits you will see here are backed by scientific evidence. 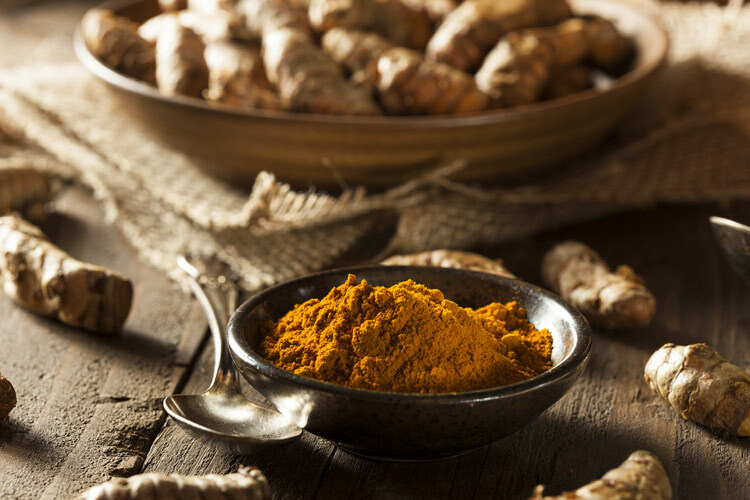 In case you haven’t checked it out already, take a look at the previous article in this series that discusses the nutritional benefits and contents of turmeric. *note: Only the health benefits will be covered here. The medicinal benefits / applications will be covered in the next article in this series on turmeric. Now that you have seen all of the studied health benefits of turmeric let’s get into the details of why turmeric provides these health benefits. Turmeric is most well-known for its anti-inflammatory effects. In simple terms, inflammation is a normal bodily function that can help protect the body from harmful microorganisms such as bacteria. Inflammation also helps the body repair damaged tissues or replace dead cells. When inflammation occurs as a result of infection or injury it is called short-term or acute inflammation. Acute inflammation is not harmful—it just may be uncomfortable or cause a loss of mobility in the inflamed area. Inflammation can become a major problem when it is chronic (ongoing and long-term). Chronic, low-level inflammation can be caused by a diet high in inflammatory foods, a poor lifestyle (e.g., no exercise), and can naturally increase with age. Chronic inflammation is thought to increase with age due to a decreased efficiency of cellular mitochondria. The risk of developing many diseases such as heart or Alzheimer’s disease significantly increases with chronic inflammation. The good news is that turmeric is a strong natural anti-inflammatory. In fact, turmeric is so powerful at fighting inflammation that it matches the effectiveness of pharmaceutical anti-inflammatory drugs. Turmeric reduces inflammation by targeting multiple steps in the biochemical inflammatory pathway. In other words, it targets the substances in our body that promote inflammation. The next article in our series on turmeric, the medicinal uses of turmeric, will cover this topic with more detail. The primary active ingredient in turmeric, curcumin, has been found to enhance neurogenesis and cognition in aged rats. So what does this mean in normal language? Neurogenesis simply refers to the birth of new neurons or the primary cells in the brain that allow it to function. We can lose our brain cells as a result of environmental toxins, cardiovascular disorders, several other diseases, and in some cases, the cells self-destruct if there is a detected flaw. With aging and our exposure to environmental toxins, we all could benefit from the production of new neurons to nurture our brain’s health as we age. So it may be a good idea to regularly get some turmeric or curcumin into your body to maintain your brain’s health, especially as you get older. The other benefit of curcumin mentioned by the study was cognitive enhancement. According to the study, “curcumin enhanced non-spatial and spatial memory.” In other words, turmeric has been suggested to improve one’s overall memory. The Bottom Line: Turmeric has been suggested to be a powerful preventative substance against brain-related diseases such as Alzheimer’s; turmeric has also been shown to significantly improve memory. Have you ever heard of oxidative damage? If not, you’re certainly not alone. 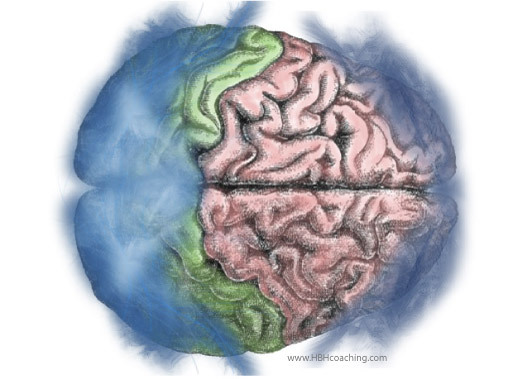 Check out this article on oxidative stress to learn what it’s all about. Ultimately, you just need to know that oxidative damage is something you want to avoid by getting anti-oxidants in your body. Free radicals are substances that cause oxidative damage. Cellular DNA is often damaged by free radicals. Over time, this can lead to the development of cancer. Free radicals can also cause oxidative damage to cholesterol. When cholesterol becomes oxidized, it can then cause damage to blood vessels and eventually lead to a buildup of plaque—this can cause heart disease, a heart attack, or even a stroke. In one study, those who took 500mg of curcumin on a daily basis experienced a 33% drop in oxidized cholesterol levels and a 29% increase in HDL cholesterol (the “good” cholesterol). So in addition to protecting against cholesterol oxidation, turmeric (curcumin) can help you maintain a healthy balance of cholesterol too! Turmeric is also a good source of vitamin B6, which can prevent heart disease. Simply put, there is a substance in the body called homocysteine that is known to be a significant risk factor for heart disease. Vitamin B6 prevents heart disease because it prevents homocysteine levels from getting too high. Several studies have linked the regular consumption of turmeric to lower incidence rates of cancer. Specifically, turmeric it has been shown to lower the chance of developing breast, prostate, lung, and colon cancers. The primary active component in turmeric, curcumin, has also been shown to have anti-carcinogenic (anti-cancer) properties. For example, one study injected mice with cancer cells that resulted in tumors. The mice were divided into four groups: no treatment (the control), Taxol (a cancer drug), curcumin, and curcumin & Taxol. 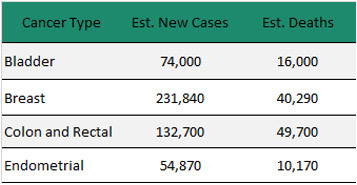 Curious about which treatment was the most effective for preventing the spread of cancer? Surprisingly, curcumin & Taxol performed the best! Only 22% of the mice given the combination of Taxol and curcumin developed lung tumors. When the mice with tumors were only given Taxol, 75% them developed lung tumors. 55% of the mice who received curcumin alone got lung cancer. Even though the combination of Taxol and curcumin was superior to any of the other options, the results still show that curcumin is more effective in preventing cancer metastasis than a pharmaceutical drug that is specifically designed to combat cancer! Nature prevails once again. It is thought that curcumin acts like a switch for transcription factors. In lay terms, it means that curcumin regulates the genes that are required for cancer cell reproduction. The Bottom Line: Curcumin has been found to both prevent the spread of cancer within the body and inhibit the growth of cancerous tumors. Cruciferous vegetables such as cauliflower, cabbage, or broccoli contain a beneficial phytochemical called phenethyl isothiocyanate (let’s just call it PI to keep it simple). Remember that curcumin is also a phytochemical but it is found in turmeric. When combined, both of these phytochemicals have been found to be an effective therapy and preventative against prostate cancer. A study published in 2006 found that the combination of curcumin and PI significantly slow down the growth of human prostate cancer cells. In other words, the active phytochemicals found in turmeric and cauliflower were found to greatly slow down the growth rate of prostate cancer. Each phytochemical individually did not prove to prevent the development and spread (metastasis) of prostate cancer cells. The key point, however, is that when the two phytochemicals (curcumin & phenylethyl isothiocyanate) are used together, they significantly reduce prostate tumor growth and the chance of metastasis. The Bottom Line: The study’s researchers believe that the combination of cruciferous vegetables like cauliflower or broccoli with curcumin can be an effective therapy to both prevent prostate cancer altogether and to prevent the spread of prostate cancer that has already developed. Although this data covers all forms of childhood cancer, leukemia is the most common form of cancer among children. Leukemia accounts for around 21% childhood cancers. There are plenty of environmental, lifestyle, and genetic factors that can explain this concerning increase in cancer rates such as radiation exposure and benzene. But this is another issue entirely (perhaps this swill be another article in the future). The interesting point here is that eating turmeric early on in life can actually reduce a child’s likelihood to develop leukemia. A professor from the Loyola University Medical Center pointed out data that suggests eating foods spiced with turmeric can reduce the risk of childhood leukemia. According to Nagabhushan, the curcumin in turmeric can prevent cell mutations caused by cigarette smoke, prevent radiation damage, prevent the formation of harmful toxins produced in the body from processed foods (e.g., heterocyclin amines & nitroso compounds), and inhibit the multiplication of leukemia cells. 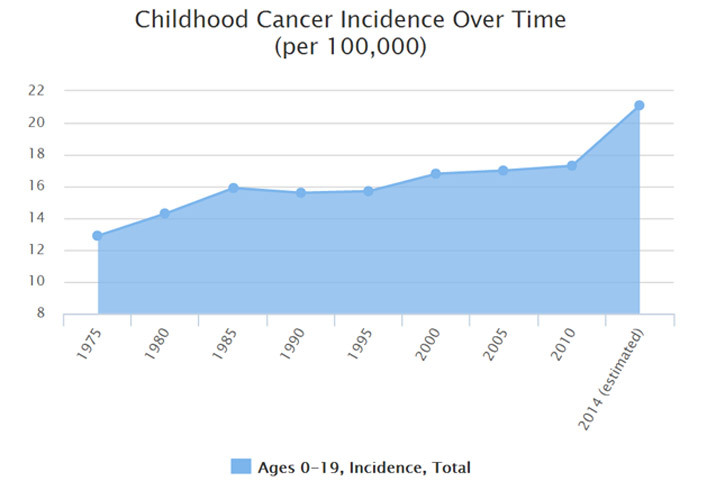 The Bottom Line: Childhood cancer rates are on the rise. The curcumin in turmeric has been found to combat against some well-known risk factors of childhood leukemia. Specifically, curcumin has been found to lessen the damage caused by cigarette smoke, radiation exposure, and processed foods. Curcumin even prevents the multiplication of leukemia cells. There is a growing body of evidence that suggests turmeric protects against neurodegenerative diseases such as Alzheimer’s disease. Although there could be other contributing factors, epidemiological studies have found that elderly Indian populations who consistently consumed turmeric in their diet had much lower rates of brain-related diseases such as Alzheimer’s. While we do not entirely know how turmeric or curcumin prevents Alzheimer’s disease, there are some theories out there—it is also entirely possible that turmeric prevents Alzheimer’s disease through several mechanisms rather than just one. The most impressive property of turmeric that may partially explain why it prevents neurodegenerative disease is its ability to cross the blood-brain barrier. A common obstacle of many brain-targeting pharmaceutical drugs is crossing the blood-brain barrier which is a protective barrier that blocks larger molecules from getting into the brain. Since turmeric can cross the blood brain barrier, it can easily deliver the beneficial substances to the brain. This is one of the reasons turmeric is known as a powerful “brain-enhancing” substance. Even if a substance can potentially benefit our brain, it does little good unless the beneficial substances can actually get to the brain. Once in the brain, curcumin has been found to break down harmful protein fragments that have been attributed to Alzheimer’s disease. The protein fragment(s), called Amyloid-B, are normally broken down and eliminated in a healthy brain. In Alzheimer’s disease, the Amyloid-B fragments accumulate and form hard (amyloid) plaques between brain cells. Another important characteristic of turmeric is its ability to reduce the inflammation of nerve cells. Chronic inflammation of nerve cells is another factor that is thought to cause Alzheimer’s disease. Studies have suggested that curcumin can reduce the inflammation of nerve cells via the inhibition of COX-2 and other inflammation-causing substances. The Bottom Line: Considering the substantial evidence, turmeric and curcumin are strong contenders for the natural prevention of Alzheimer’s disease and other similar neurodegenerative diseases. Its ability to cross the blood-brain barrier makes turmeric a powerful substance for brain health. Turmeric has also been found to improve the function of your liver. There are two important detoxifying enzymes in your liver that are responsible for removing toxic chemicals. These two enzymes are called UDP glucuronyl transferase and glutathione-S-transferase. While the names may sound intimidating, these enzymes are essential for liver detoxification. One study found that turmeric increases the levels of these enzymes in the liver. As a result, the liver can more efficiently remove harmful toxins and dietary carcinogens (toxic substances from food). Turmeric has even been found to protect the liver from the damaging effects of acetaminophen—commonly known as Tylenol. Perhaps now you can look at turmeric in a new light. Given its countless health benefits, it may be wise to add turmeric to your normal diet. If you plan to add turmeric to your food, be sure to add black pepper too. The combination of turmeric and black pepper improves your body’s absorption of curcumin (the primary active component in turmeric) by up to 2000%. Check out the previous article in this series on turmeric if you want to read more about similar nutritional information: the nutritional components of turmeric. If you are not interested in adding turmeric to your food, you can always take a turmeric supplement that contains piperine (the natural chemical in black pepper that improves absorption). If you’re looking for a turmeric supplement that has piperine, try this one. Like this article? Feel free to sign up for our newsletter for the latest article updates and exclusive offers. We also offer online health coaching services. If you need help with meal planning, nutrition, exercise, want to know about natural remedies, or just want to improve your health in any way, we have you covered. Easily get health advice within the comfort of your own home. Advertising Disclosure: Holistic BeginningsHealth Coaching may be compensated in exchange for featured placement of certain sponsored products and services, or your clicking on links posted on this website.